Nice review! 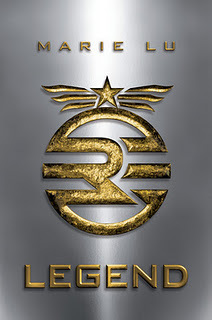 I am glad that you found Legend to be well written as I will be reading it soon. I don't think I will like it more than Divergent or The Hunger Games but it does sound really good. Thanks for sharing your thoughts on it! If I buy it (I checked it out from the library) I will definitely get the print version instead of the e-book. Thanks for the review. I've read both positive and negative things about this book. I like the cover too! It's nice the way it's simple. I loved this one when I read it. I did have a lot of questions on the issues with the colonies, but since this was the beginning I believe that a lot of the questions will be answered in the upcoming books. Great review! I bought this one in hard copy, rather than for the Kindle. It's definitely worth reading!